Inabanga Tropical Retreat, a mixture of modern luxury and native life is located in Inabanga Bohol, Philippines. It is easily reached from Cebu in the Philippines and from Bohol's main airport at Tagbilaran. V-hire - this will take 1 hour. 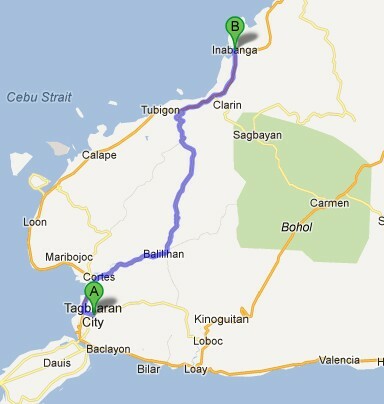 PUJ/ Jeepney - this will take 2 hours. BUS - this will take 2 hours.